PDF e-book format, instant download. 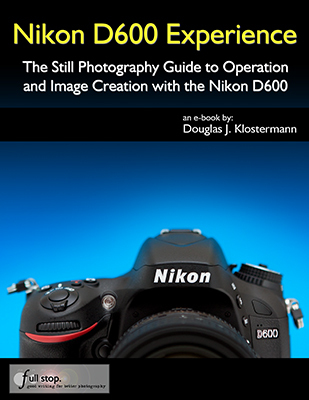 Nikon D600 Experience - The Still Photography Guide to Operation and Image Creation is an e book user's guide that goes beyond the manual to help you learn the features, settings, and controls of this sophisticated and highly customizable camera. Most importantly, it explains not only how but also when and why to use the camera's basic and advanced features, settings, and controls in your photography. "I have been using Nikon dSLR cameras for many years. In all this time I have never come across a publication such as the Nikon D600 Experience which complements the rather soulless and complex user manual so well...your excellent work is all I need to exploit the potential of the amazing D600." Take control of your camera and the photos you create! For experienced photographers coming to the D600 from the D90, D7000, D5100, etc., this guide explains the new and advanced features in order to quickly get you up and running and taking advantage of these capabilities, including the sophisticated 39 Point Autofocus System and all its AF Modes, AF Area Modes, and Custom Settings. Plus it explains the camera controls, the in-camera HDR, Multiple Exposure, and Time-Lapse Shooting features, introduces the video capabilities, and guides you through all the Playback, Shooting, and Setup Menus, Custom Settings, and Movie Mode Menu settings of the D600 in order to help you best set up the camera and its controls for your specific shooting needs. Click to Preview Nikon D600 Experience - note to Mozilla Firefox browser users: the new built-in PDF viewer in Firefox does not work properly and causes the PDF preview to appear in a low resolution. Please download and/ or view the PDF with Adobe Acrobat / Reader to see the proper resolution. 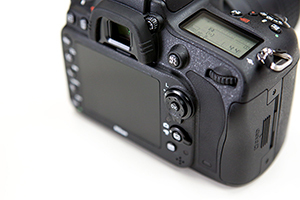 Setting Up Your D600 - All of the D600 Custom Settings and Playback, Shooting, and Setup Menus, including Movie Mode Menus, with explanations and recommended settings for practical, everyday use. 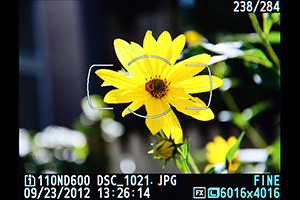 Set up and customize the advanced features of your dSLR to work best for the way you photograph. Aperture Priority (A), Shutter Priority (S), and Manual (M) Modes - How and when to use them to create dramatic depth of field, freeze or express motion, or take total control over exposure settings. Auto Focusing Modes and Area Modes and Release (Drive) Modes - The 39 point D600 autofocus system is a powerful tool, and taking control of it will enable you to successfully capture more sharp images, especially in action situations. Learn the AF Modes, AF Area Modes, and AF Custom Settings, how they differ, how and when to take advantage of them to capture both still and moving subjects. Plus how and when to use focus lock. Exposure Metering Modes of the Nikon D600 - How they differ, how and when to use them for correct exposures in every situation, and how to customize them for your needs. Also how to make use of exposure lock. Histograms, Exposure Compensation, Bracketing, and White Balance - Understanding and using these features for adjusting to the proper exposure in challenging lighting situations, and setting custom white balance. The Image Taking Process - Descriptive tutorials for using the settings and controls you just learned to take photos of both still and moving subjects. Photography Accessories - The most useful accessories for day-to-day and travel photography including accessories specific to the D600. 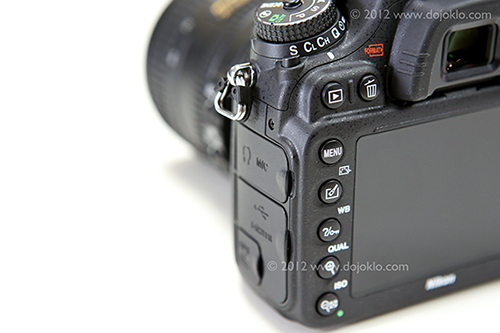 Introduction to Video Settings - Settings and explanations to get you started shooting HD video. This 220 page digital guide to the Nikon D600 is an illustrated e-book that goes beyond the D600 manual to explain how, when, and why to use the features, settings, and controls of the D600 to help you get out there shooting in the real world. E-Book Format: available in PDF instant-download format. Please contact me for the EPUB or MOBI / Kindle versions. EPUB format for reading on a Nook, Sony Reader, other e-reader device, or on the iPad using iBooks. Or on an Android tablet (Galaxy, Xoom, Playbook, etc.) using an ePub reader app such as the free OverDrive Media Console. Or viewing on your computer with free Adobe Digital Editions software. (EPUB not able to be printed on your printer.) If you are unable to transfer or read the EPUB on your Kindle, please contact me for a MOBI format version of the book. Please contact me to purchase the EPUB version. MOBI format for Kindle - please contact me to purchase the MOBI version. A well written, professional helpful guide - Brilliant, just what I was looking for! A manual for the D7000 that was exciting, clear to follow, had examples and was used by a professional who gave just the right amount of technical info with explanations of why you use those settings, when to use those settings and so on, all properly explained. The book is a revelation, a joy to follow, well thought through and well written. Nikon should be employing Doug to write every one of their cameras manuals. I found the Nikon manual good for understanding how to set things up but not much on the why - this book really focuses on the WHY. The guide helped me understand why to use specific settings for specific needs. The Custom Settings sections helps to make firm decisions on how to apply settings by understanding the usage of each in addition to knowing how to set them up. This manual is a clearly written, concise and useful explanation of the rationale for the seemingly infinite and often confusing settings options for the D7000. Used in conjunction with the Nikon manual I feel more confident in understanding how to at last proceed in getting better photographs. 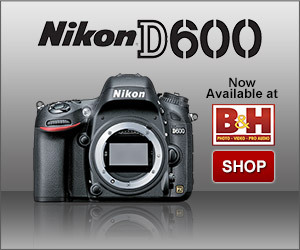 I would recommend this to anyone who wants to get a quick start to using the D7000. Manuals are nice, but this eBook highlights the important information and gives a quick, easy to understand explanation of most all of the functions and controls. 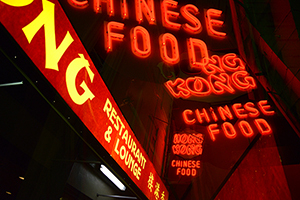 Doug Klostermann is a travel, culture, and humanitarian photographer, as well as the author and publisher of Full Stop e-book camera guides. He has photographed for numerous organizations in Latin America and the United States, been recognized by the United Nations Development Programme for his humanitarian photography, and been published in magazines and books including Conde Nast Traveler, Sherman's Travel, South American Explorer, and Viva Travel Guides. 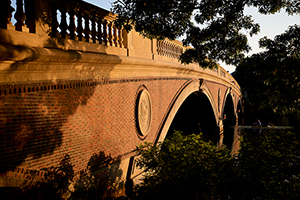 Doug is a member of the National Press Photographers Association. View his images at www.dojoklo.com. Learn more about photography equipment and techniques on his blog Picturing Change at http://blog.dojoklo.com/. with this Nikon D600 e-book user's guide.